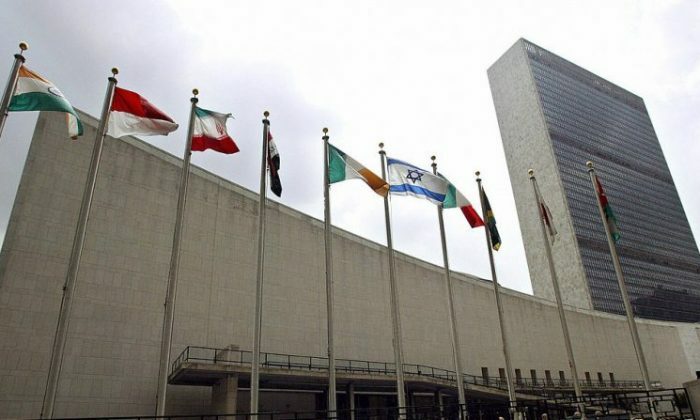 An Australian United Nations diplomat fell to his death from a balcony in New York City early on Wednesday in what witnesses say was a “game of trust” gone wrong. Thirty-year-old Julian Simpson fell from the seventh-floor balcony of his apartment on Clinton Street in Manhattan’s Lower East Side at approximately 1:35 a.m., New York Post reported citing police sources. Moments before the fatal fall, Simpson offered a male friend to play the “trust game” where he would lean back over the terrace railing and the friend would catch him. “I will prove it that you can trust me. Let’s play the trust game,” Simpson said to the 24-year-old man just moments before he slipped and fell, sources told New York Post. Simpson and his wife went out for dinner and drinks with friends. The group of about 10 people went back to Simpson’s apartment on Clinton Street and went up to the roof deck to look at the Empire State Building and views of New York City, the Daily Telegraph reported. Simpson then climbed up to a higher landing and was seen swinging a female friend around. The group then went inside, but the female’s 24-year-old husband confronted Simpson about his actions on the roof. The pair then went out to the balcony where Simpson said that his actions meant no harm and offered to play the trust game in order to prove that the upset husband could trust him. Simpson then hopped onto the railing facing the apartment, leaned backward and fell. The other male tried to catch Simpson but could not prevent the deadly fall. Simpson fell onto a second story terrace. He was rushed to Mount Sinai Beth Israel hospital and pronounced dead upon arrival. All of the people police spoke to admitted to having consumed alcohol that night. Investigators also reported smelling alcohol on both of the men involved. Simpson served as second-secretary to the U.N. for Australia. Simpson regularly traveled for work and was recently in Ecuador with a 55-person delegation. Police are treating the death as an accident. A medical examiner’s report will determine the cause of death.